St. Scholastica is pleased to announce the appointment of Karen Diver as Faculty Fellow for Inclusive Excellence with a specialization in Native Studies. Diver is a former Special Assistant to the Obama White House on Native American Affairs and former Chairwoman of the Fond du Lac Band of Lake Superior Chippewa. St. Scholastica President Colette Geary established this new position as a means to develop the programmatic and relationship infrastructure that will advance the College's ambitious strategic plan for inclusive excellence. Dr. Geary said that, "engaging Diver's broad expertise in Native Affairs signifies the College's primacy of commitment in this inclusive excellence work to the local region and thus to tribal communities." The Faculty Fellow in Native Studies will be actively involved with faculty, staff and students in a variety of initiatives that emphasize student support, and that engage faculty and staff in cultural fluency and overall inclusive pedagogies. Diver said she is eager to join the St. Scholastica community. "I'm pleased to be joining The College of St. Scholastica, and being a part of their broad organizational commitment to Inclusion, especially for Native Americans in the region," she said. "It is heartening to see an educational leader in the region build on its mission and values through a strategic vision for equity." Diver's record of accomplishments includes serving in the Obama White House from November 2015 to January 2017 as Special Assistant to the President in Native Affairs. As a member of the Domestic Policy Council staff, she advised President Obama on issues impacting Indian Country. She was the first woman to serve as Chairwoman of the Fond du Lac Band of Lake Superior Chippewa, spending eight years in that role. 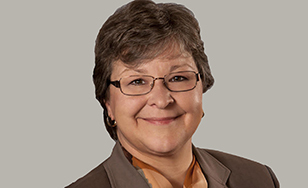 She also served as Vice President of the Minnesota Chippewa Tribe; a member of the Board of Directors for the Corporation for Support of Housing; a two-term Chair of the Boards of the Minnesota Council of Nonprofits and the Women's Foundation of Minnesota; and as a Presidential appointee to the State, Local and Tribal Leaders Task Force on Climate Preparedness and Resiliency, co-chairing the Natural Resources Committee. "This appointment will significantly strengthen The College of St. Scholastica's work in Native American studies as well as our commitment to inclusive excellence," said Chris Dolan, chair of the St. Scholastica Board of Trustees. "We expect Ms. Diver's work to provide insights and momentum that can also help in our engagement with other communities underrepresented in higher education and at St. Scholastica."